Welcome to the daily Astroplot of the current sky location of the Sun, Moon and Planets. From Earth's point of view, with the Zodiac constellations as a reference, the Sun appears to move one degree each day along the ecliptic. During a year cycle, the Sun completes a circuit along the ecliptic, across the Zodiac constellations. The Moon and planets move close to the ecliptic. Celestial bodies, the Sun, Moon and planets, can be a guide to locate the Zodiac constellations. Alternatively, when the Zodiac constellations are known, the planets can be located. 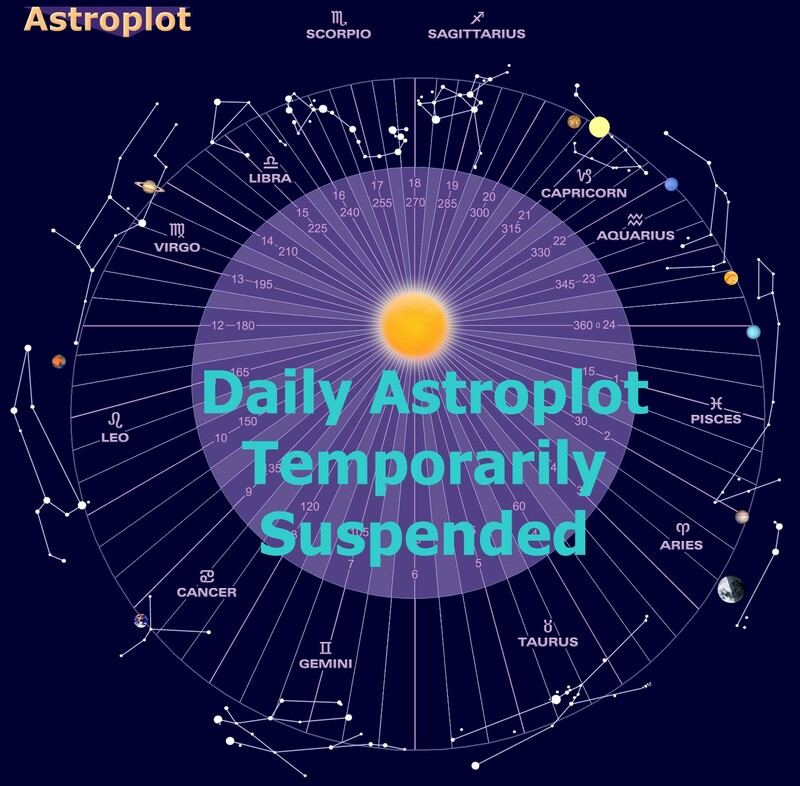 Updated daily, Astroplot charts present a universal view from Earth which is applicable to observers worldwide. The Astroplot chart indicates the current location of the Sun, Moon and planets in the 12 Zodiac constellations. Retrograde occurs when planets are observed to travel backwards to their usual motion. Observe a conjunction when planets, the Moon, or Sun move near each other in the sky. Celestial bodies with less than 6 degrees of separation are classified as being in conjunction. Degrees of separation are indicated on the chart above, when celestial bodies are in conjunction. The Moon phases are orientated for the Southern Hemisphere view. 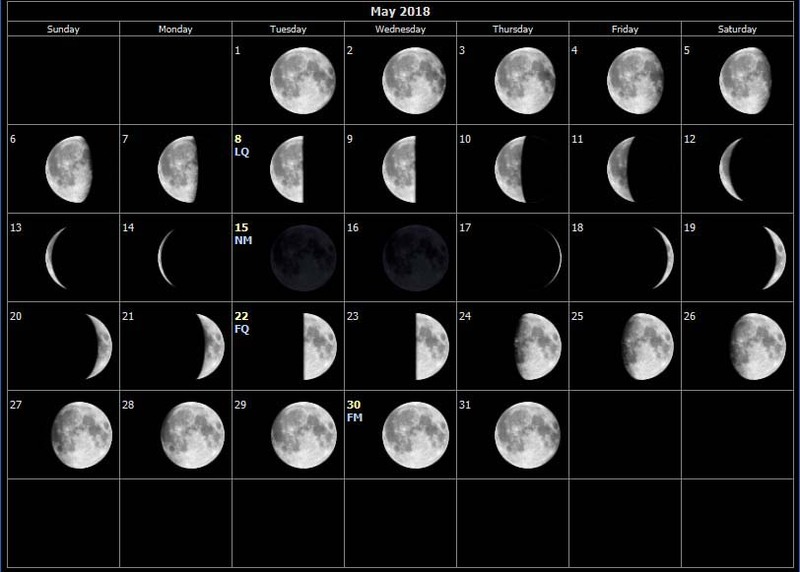 How do the phases of the moon occur?